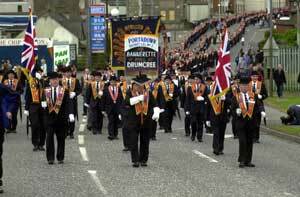 Does the appointment of Orangemen to the Parades Commission breach the legislation? That's the question nationalist residents' groups are asking the Commissioner of Public Appointments to investigate. According to official guidelines, laid out by the Commissioner for Public Appointments, candidates should not have "a relationship with another organisation that could lead to a conflict of interest". It is difficult to see how last week's appointment of members of the Orange Order and known supporters of the Order's Drumcree protest can be considered anything other than representing such a conflict. In Portadown, Garvaghy Road Residents Coalition (GRRC) spokesperson Breandan Mac Cionnaith accused the British Secretary of State, who is ultimately responsible for appointments to the Parades Commission, as "totally avoiding the issue around conflicting interests". Joe Marley of Ardoyne Parades Dialogue Group said residents "do not feel that this new commission is capable of delivering unbiased or impartial determinations and lacks the balance the vision required to resolve this issue". Amongst those appointed to the Parades Commission last week was David Burrows, a member of the Orange Order who played a prominent role in the Drumcree stand-off. He previously accused the Parades Commission of being an "unaccountable quango". Burrows was forced to resign from his position as Grand Master after an illicit relationship with a young female secretary became public knowledge. A second Orangeman appointed to the Parades Commission is Donald McKay, a member of the Royal Black and Orange institutions. McKay, a former UUP councillor, defected to the DUP. He has already informed the media that he intends to take part in next year's Drumcree parade. Commenting on the appointments, a GRRC spokesperson said: "It appears that Peter Hain has succumbed to internal pressure within the NIO as well as to outward pressure from the DUP and UUP in relation to the Parades Commission." Breandan Mac Cionnaith said the appointment of the two Orangemen was political. "In fact one of the people is not only a member of the Loyal Orange Lodge of Portadown, he is also a member of the DUP. It shows that the DUP themselves have obviously secured some influence in this decision," said Mac Cionnaith. In contrast the apparent willingness of the NIO to pander to the DUP, the GRRC spokesperson said that no attempt had been made to include people from those communities most affected by contentious parades. 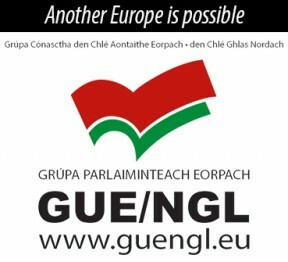 "What is clear is there is no representation nor has the NIO or Secretary of State attempted to secure representation from any of the working-class nationalist communities that are directly affected by contentious marches," said Mac Cionnaith. The appointment of Joe Hendron, a former SDLP MP, has angered many nationalists particularly those from his former constituency in West Belfast. A nationalist more by default than design, Hendron infamously secured his seat in 1992 after utilising unionist paramilitaries to campaign on his behalf. Effectively denying nationalist West Belfast the candidate of their choice, Hendron's recourse to unionists paramilitaries involved in sectarian killings has never been forgotten or forgiven. To present Hendron as a 'nationalist' appointment ignores the expediency with which he allied himself with unionism when it suited his interests in the past. Other appointees include Anne Monaghan, an independent member of the Belfast District Policing Partnership, Vilma Patterson a former chair of the Women in Business network and Alison Scott McKinley a development worker from Magherafelt and former member of the Magheraflet District Policing Partnership. The newly-appointed head of the Parades Commission, Roger Poole is a trade unionist and former assistant general secretary of NUPE and Unison. In a joint statement from the main Loyal Orders, the Orange Order, Royal Black Institution and Paisley's Independent Orange Order described the appointments as "interesting".